Unicode has announced the release of the final build for Emoji 12.0, bringing 59 new emojis to today’s smart interfaces. The latest Unicode interface has rendered the latest emojis in Apple’s glossy finish format, giving us a glimpse of how they will appear when implemented in smartphones. While the total number of new emojis is 59, the range of skin tone variations for some of them include a total of 171 more sub-emojis, hence bringing the total count of new emojis to 230, effectively. 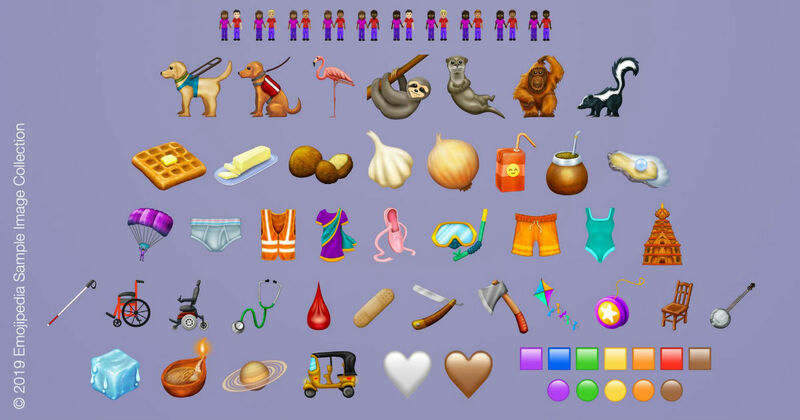 The list of new emojis that are being rolled out with the new Unicode version happen to be rather eclectic by nature. These include a new yawning emoji, which is a not-so-subtle way of letting a person know about how interested you are in a topic of conversation. You also get a hand gesture that appears to denote small size (or quantity) of any element. There appears to be quite some emphasis on disabilities, with two new wheelchair variants (basic and advanced) accounting for two new emojis, along with individuals seated on them. There is also a new cross-racial, cross-gender emoji of walking with a support stick. A large part of the list of the new emojis are taken up by inter-racial couples, continuing Unicode’s inclusive representation philosophy via emojis. There is also what appears to be a slightly confused gorilla (yet another apt way of expressing your feelings in between conversations), along with fellow animals and birds such as flamingo, sloth, otter and, for some reason, even a skunk. Waffles and butter get an entry into food emojis, while garlic, onion and (probably) potatoes bring up the essentials of a healthy (emoji) diet. There is also a stethoscope, along with a drop of blood and a band-aid (thankfully), while other expressive elements include Saturn with her rings, a diya, an auto rickshaw and a single-blade razor, among others. The new emojis are not expected to roll out right away, but should make their way into your smartphone some time in mid-2019. Unicode has revealed a mid-2019 expected date for it, which is when they will possibly be rolled out, along with a firmware update on all compatible platforms.